The recent string of housing data shows that housing supply is tight, new home sales are surging, and pending home sales are up. And this, analysts say, bodes well for home prices.In an interview with The Wall Street Journal, however, Robert Shiller says he is more “worried” than most about the rise in home prices, because he isn’t certain that the recovery in prices will be sustained. WSJ: Did we finally hit a floor in home prices last year? 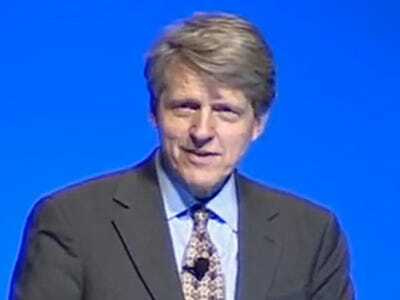 Mr. Shiller: The trend in home prices seems to be up now. It has been going up. That’s upward momentum, which by my general rule of forecasting has been good for the future. I’ve been tentative about that. It may well be the turning point. But I’m not sure about that. I’m more worried than most people that it could be a short-lived turnaround. It could be like the 2009-10 upturn where we saw home prices rising right after President Obama took office and right after the home-buyer tax credit was instituted. In that upturn there were some cities that did quite spectacularly. And then that fizzled. I’m not too sure that this one will extrapolate either. WSJ: Why are you more worried than most people? Mr. Shiller: Part of the reason the indexes have gone up is because the foreclosure boom has receded. Foreclosed homes sell at a lower price, and the share of those sales has been falling. People might be deceived by this by looking at the indexes. The question is whether the gains will be sustained. There isn’t any sign of the real enthusiasm we saw during the last bubble. The question is whether this could be the very vague beginning of a new boom? I guess it could. I just don’t know. Then there are issues with what the government does to support housing. They’re doing everything they can. They say they’re going to stop some day. When will people start worrying about that? Of course Shiller isn’t the only one, Quinn W. Eddins has said housing optimists are getting two key things wrong, namely that home prices are increasing off a weaker base and the composition of sales have changed. He also says a true recovery isn’t possible without job growth and improved consumer confidence.